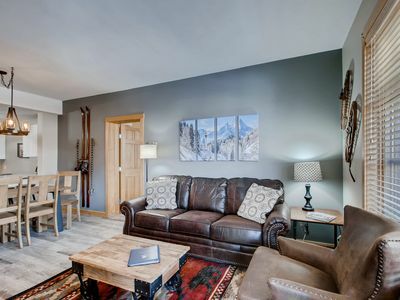 Our newer, comfortably furnished, and tastefully decorated luxury three bedroom, three bath townhome offers you plenty of room to relax! 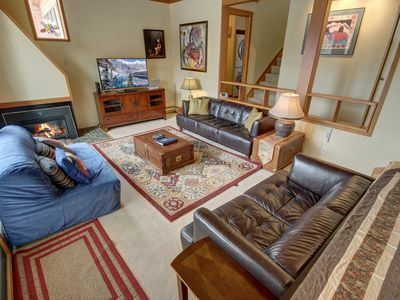 Treat your family to our spacious, comfortable second home with 2000 square feet of living space! 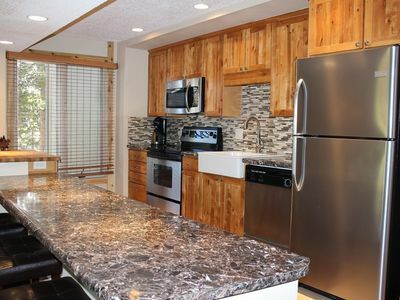 This town home includes a modern kitchen, mountain views, a large deck, and attached single car garage. 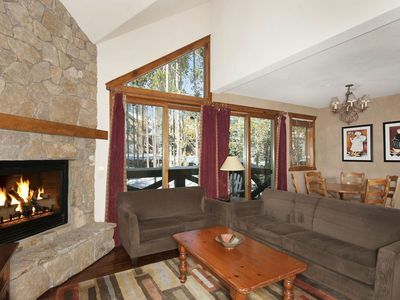 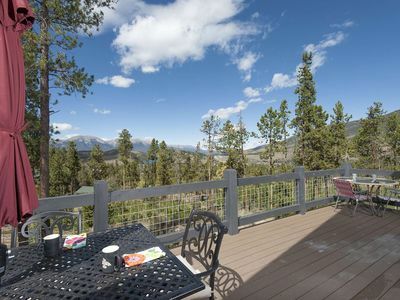 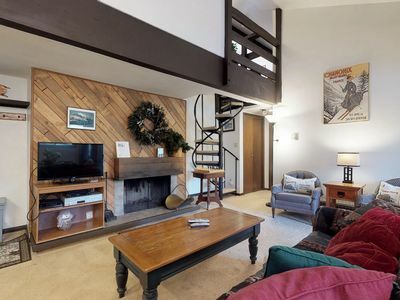 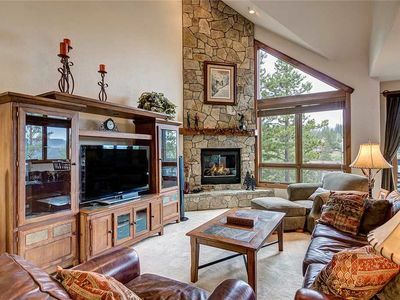 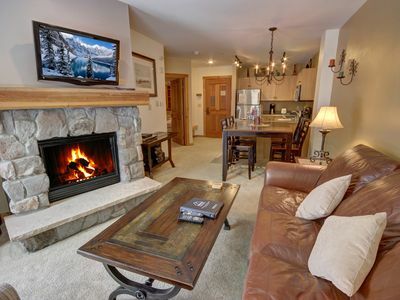 We have furnished our home with comfortable Colorado Mountain furniture to provide a cozy, relaxing atmosphere for a high country mountain vacation get away. 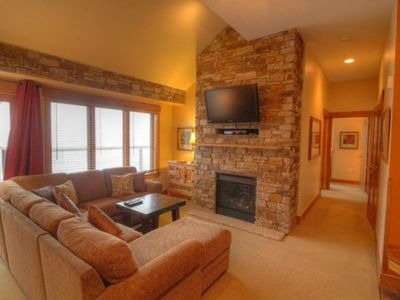 Feel at home when you walk in on the main floor with its vaulted ceiling and beautiful natural stone fireplace. 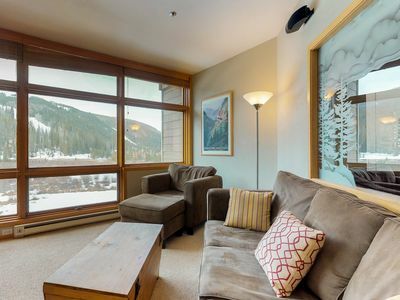 Take in the mountain views and feel the luxurious comfort of the in-floor radiant heat as you walk around in your bare or stocking feet. 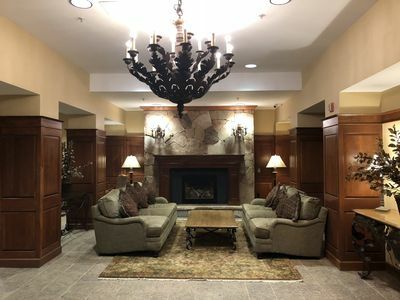 The main level includes a full bathroom, complete laundry facilities, kitchen and dining areas as well as the living room which has a queen-sized sleeper sofa, gas fireplace, and a large TV and VCR. 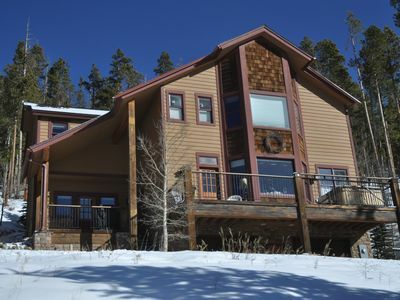 Take the stairway down to the lower level which includes all three bedrooms, and two full bathrooms. 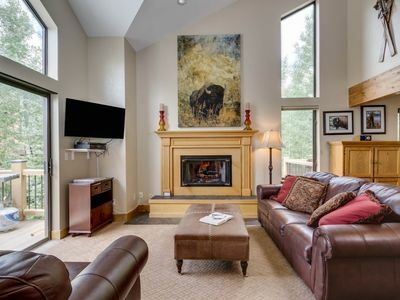 The master bedroom includes a queen-sized bed, has its own private bath complete with a shower and a large jacuzzi tub, and has a walkout to a patio. 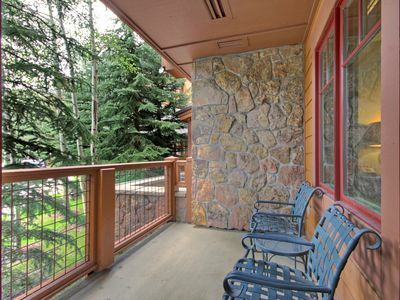 The second bedroom includes a queen-sized bed and a walkout door to the patio. 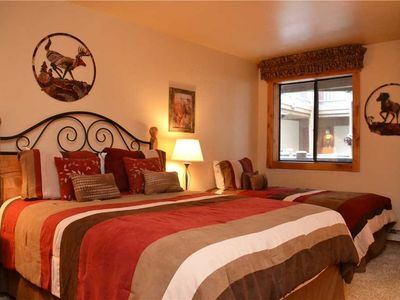 The third bedroom has two twin beds. 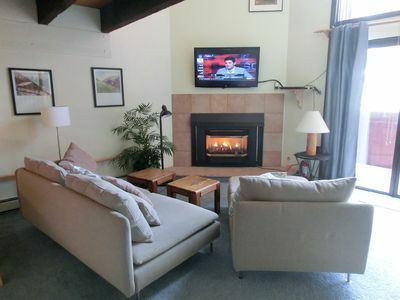 A bathroom off of the hallway is shared by the second and third bedrooms. 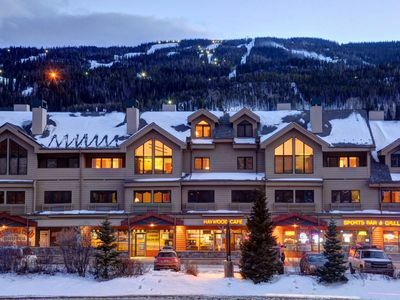 Four world class ski resorts: Arapaho Basin, Keystone, Copper Mountain, and Breckenridge are easily accessible within 20 minutes by car, or else by free ski shuttle. 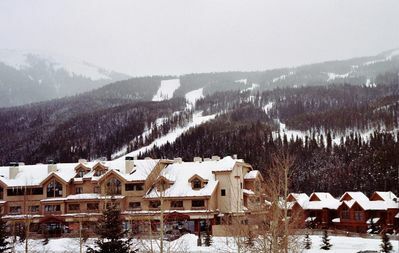 Vail and Beaver Creek are 45 minutes west on I-70. 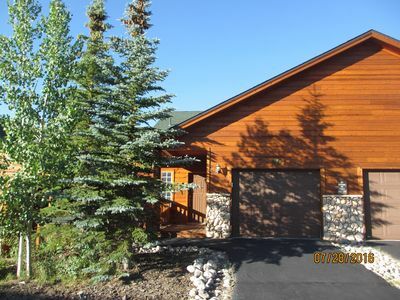 The Silverthorne Recreation Center is nearby with a large swimming pool, fitness center, water slide, and indoor track. 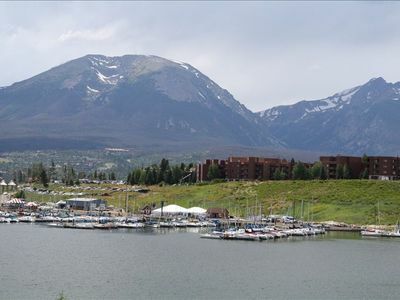 In the summer, Lake Dillon and Dillon Marina are within walking distance and offer canoe, kayak, and boat rentals. 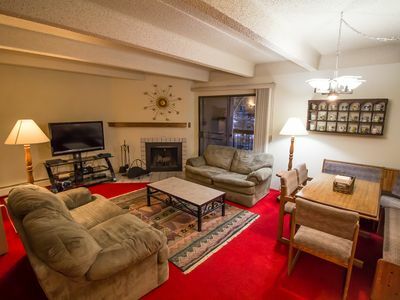 Within short walking distance, you can access local restaurants and shopping, a grocery store, and an eight screen theater.